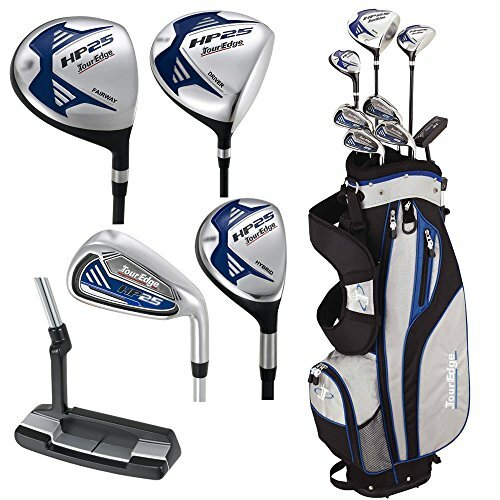 The Tour Edge® junior Varsity full complete golf set is ideal for teens who are too big for a kids' set, but not quite ready for adult clubs yet. It comes with a high MOI titanium driver, a low-profile fairway wood, an easy-to-hit hybrid, five irons, two wedges, and a heel-toe weighted putter. Headcovers and a lightweight stand bag are also included.